While working on the menu illustrations with SCHMATZ as detailed in previous post, we had another project going on together simultaneously! 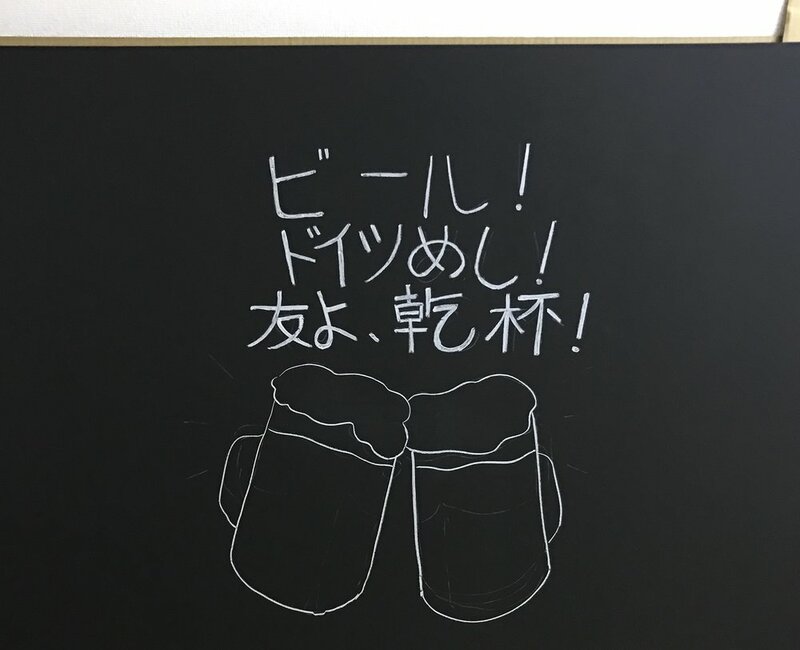 Blackboards! 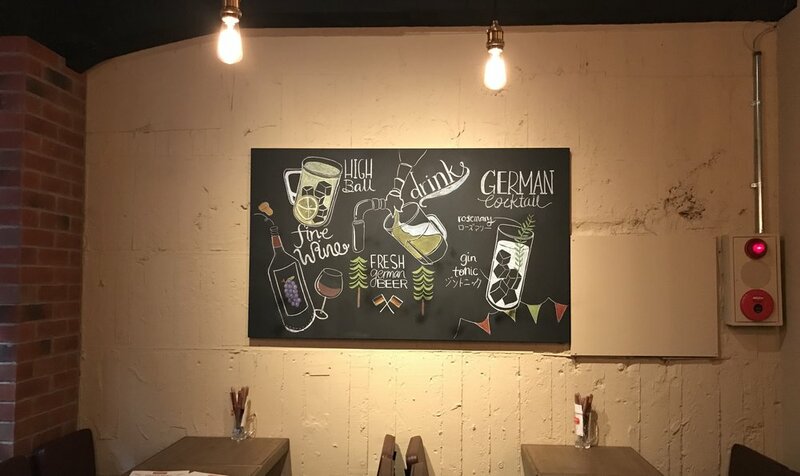 We had an initial plan of painting the menu items on the walls of the restaurant but SCHMATZ decided they wanted chalk art on blackboards instead. 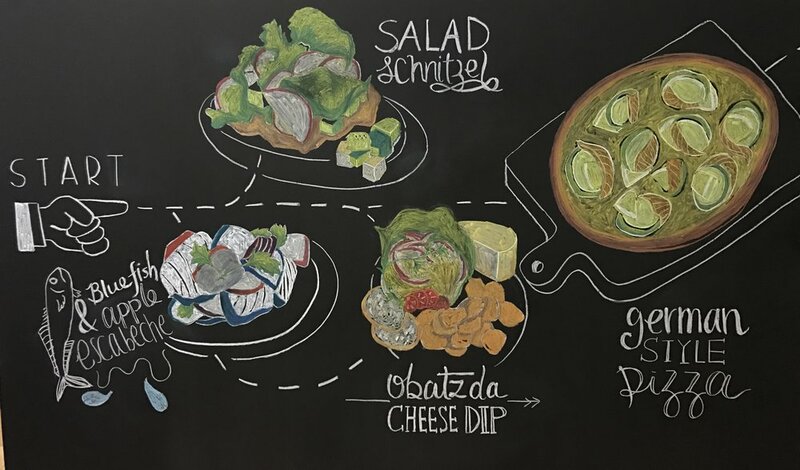 I got quite panicky, scrambling for research on Pinterest because the last picture I drew on the blackboard was probably 15 years ago when I was still in school. Deadline of 2 weeks, solo warrior (it's not like a mural when you could possibly get a few friends and art enthusiasts to come paint together upon me doing the outlines so I had to fight this war alone...) with 7 long boards, plus part of the menu is still under development means I cannot draw them till it's final meant a crazy and dusty fortnight ahead! But first, shopping for materials and tools in Sekaido, the mecca for art materials in Tokyo. I got a set of chalk, duster, kneadable eraser, a box of 15 half-stick pastels, and also separate pastel sticks for specific Colours that I needed for the mural. The chalk set and 1/2 stick pastels got me through all 7 of the boards and I still have 5 sticks of chalk and most of the pastels left. Slim chalk set and chalk holder from Nihon-Rikagaku. Meanwhile, drafts for parts of the board are being done for confirmation before I transfer them to the blackboards. For transfers, the detailed parts will be done by projection, and for the less complex areas - freehand. So that's when Apple TV and an EPSON projector saved my life for projection of the drafts in my mac. I also realised that the blackboard is an excellent screen for projection! - it's going into my interior list for my next house move. Unfortunately it's not movie night tonight! I started with using a white pastel pencil for outlines but it wasn't as erasable as the chalk although it's so much easier to handle. While working on the boards for the main entrance, I went on to the rest to keep the pace going! And after all the hours, the boards are starting to take shape. The boards below are for the big stretch of empty space at the main dining hall. Made the centerpiece a fun one with a "food journey" of starting with the starters to the heavier foods towards the end of the food journey. Starting with the salads and dips. And finally attending to the beer centerpiece celebrating the Beer Purity Law also known as Reinheitsgebot of 500 years! The boards are then fixed with a few layers of fixative spray before handing them off to the movers. While at the restaurant, some last minute fixes were made due to the moving. Although multiple layers of fixative were applied, chalk and pastels are one of the toughest mediums to fix and are easily destroyed with friction. I was recommended the clear coat car spray that mechanics use to coat car paints so maybe that would do the magic? I'll be trying it soon to fix these panels before the restaurant officially opens. Besides the menu illustration and murals, I also did the branding and design for their uniform and coasters, with a theme and wheat accents that brings them out as a beer hall. Check out the completed murals,uniform t-shirt design and all here! 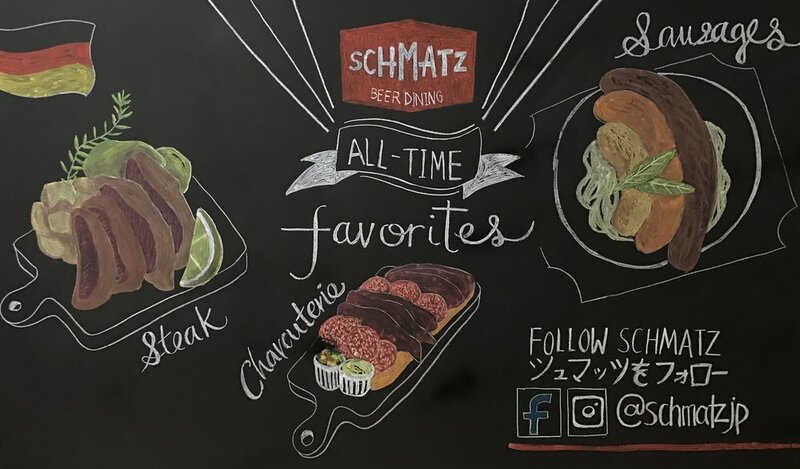 SCHMATZ Kanda is opening soon somewhere in January 2017 but meanwhile, you can find them at Akasaka too! 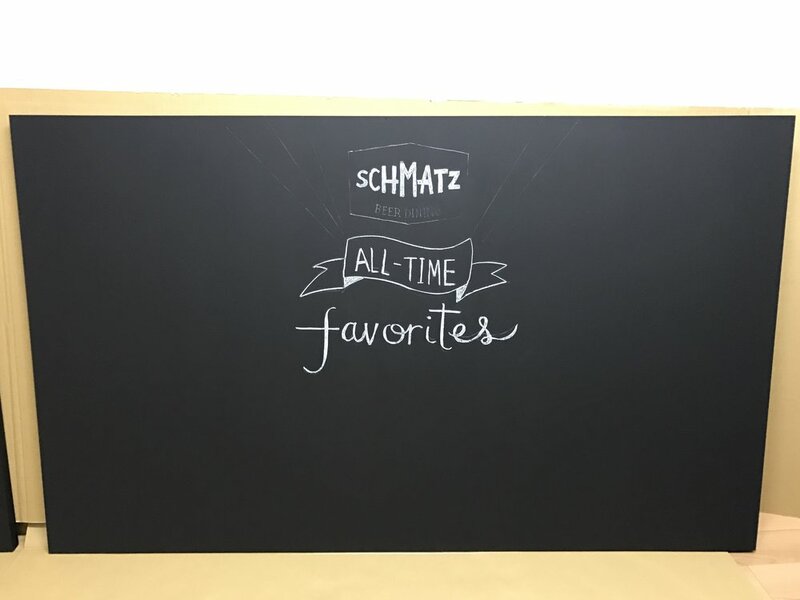 Find out more about SCHMATZ here.